Nicki Minaj ex-boyfriend Safaree Samuels returns to Jamaica for the first time in over six years. The “Love The Most” rapper and his girlfriend Zashia is currently on Jamaican soil where he is hosting a party in Kingston this weekend and also doing some recording for his upcoming project. Since arriving on the island, Safaree has visited a few local parties including Weddy Weddy, and also done a few radio and TV interviews. 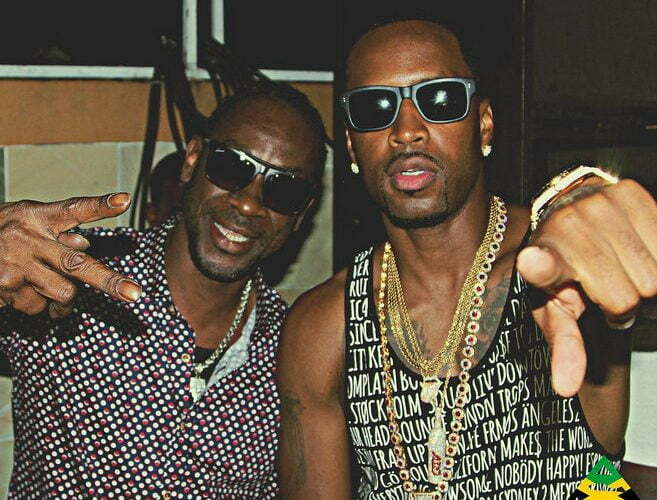 He was also spotted partying with the likes of Bounty Killer, ZJ Liquid and Ishawna. GOOOOD MORRRNINNNGGGGG!!!! Words of wisdom from Mr bounty killer @grunggaadzilla !! I must be doin something right to be here!! I enjoy this grind of starting all over and appreciating what i am doin for myself! Dats 1 thing no man can take from no me!! Respect it or dont watch no face!!! No matta what yuh say im a new artist and putting this work in!!!! Location: Weddy weddy wednesday Stone love hq!! #TheMostFun Rahhhhhhhh! #stuntgang #stuntganJA ???? Legendary Stone Love Father Pow @rumbloodmuzic posted up!!! Stone Love sound if you dont know look it up!!! Chicken soup on deck #stuntgang #TheMostFun ?? Check out more of the photos below. This man should be to looking towards other avenues that don’t include music. He doesn’t have the talent to be seen outside the scope of Nicki Minaj. I’m sorry, but it is what it is.